Check-in at 4 pm. Check-out at 11 am. The Moose Lodge features 40 spacious rooms with two queen beds that have comfortable 14 inch mattresses. Each room includes a full bath, 8 channel TV, hair dryer, coffee maker, telephone and unlimited Hot Spring passes during your stay. Starts at $279.99. Rate based on double occupancy (2 adults). 3rd or 4th adult fee is $20 per person additional (plus taxes). Maximum four persons including children. Children ages 17 and under are free with parent or adult. Rate does not include 8% bed tax. 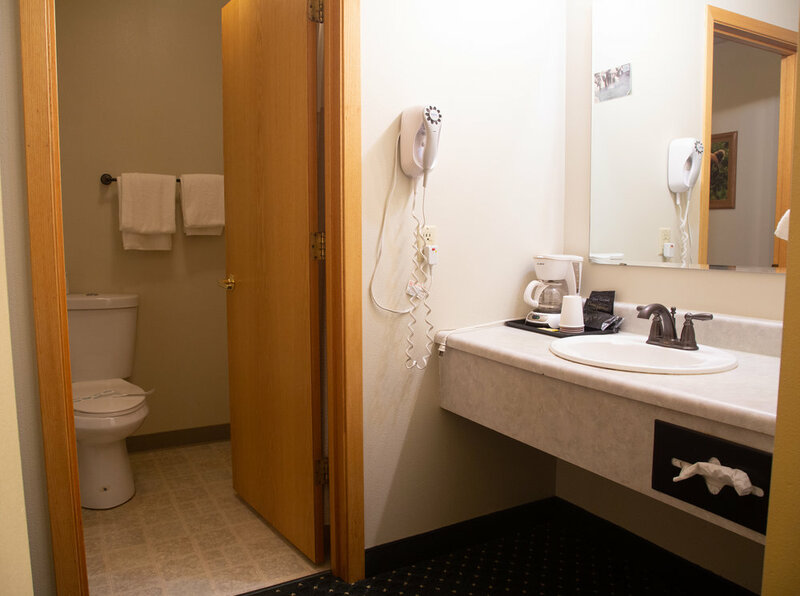 The Moose Lodge also features 2 handicapped accessible rooms, they have one queen bed and an accessible bathroom. They feature all the same conveniences as a regular Moose Lodge Room. 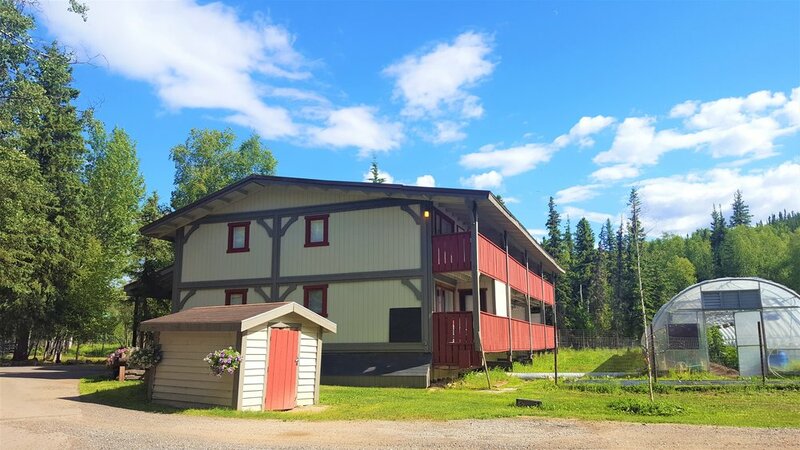 The Resort features 32 Fox Rooms, each with a unique Alaskan Decor and close proximity to the hot springs. 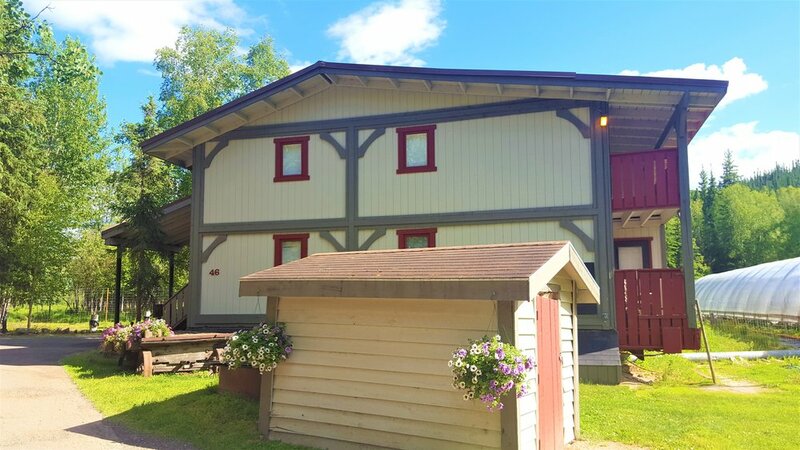 A comfortable option, smaller and more intimate than the Moose Lodge yet cozier, each room has two double beds, a 3/4 bath with shower, 8 channel TV, hair dryer, coffee maker and unlimited swim/soak passes during your stay. Starts at $209.99. Rate based on double occupancy (2 adults). 3rd or 4th adult fee is $20 per additional person (plus taxes). Maximum 4 persons, including children. Rates do not include 8% bed tax. PET FRIENDLY ACCOMMODATIONS - 4 pet friendly Fox Rooms are available. There is a $50 pet fee and a maximum of two pets are allowed per room. Additionally, a $200 pet damage deposit required at check in. Upon checkout, after room inspection, the $200 deposit will be refunded if no pet damage occurs. The Bear Family rooms are a popular option for families or groups. The Bear Family room features two queen beds, 3/4 bath with shower, 8 channel TV, coffee maker, hair dryer and unlimited swim passes. The additional room has two twin beds, and a half-bath with toilet and sink. No shower or bathtub in the smaller room. Starts at $309.99. Rate based on 4 adult occupancy for Bear Family Room. 5th or 6th adult fee is $20 per additional person (plus taxes). Maximum 6 persons including children in the Bear Family. Check in at 4PM. Check out at 11AM. Rates include unlimited swim/soak passes during your stay! To make a reservation or ask a question, book here or email frontdesk@chenahotsprings.com. Only applies to Alaska Residents staying in same room. Includes same guidelines as regular room rates and offers same amenities including unlimited hot springs passes during your stay. Based on double (2 adults) or quad (4 adults) occupancy, $20 per person fee additional for 3rd, 4th adult in Moose Lodge or Fox Room, and 5th or 6th adult in Bear Family. Maximum four persons in Moose Lodge and Fox Room including children - six persons maximum in Bear Family including children. Children ages 17 and under are free with parent or adult. Rate does not include 8% bed tax. All reservations require a $50 credit card pre-authorization at check in for security or a $200 cash deposit, to be released and returned at check out provided no damage to the room. Due to limited phone lines, we ask that to make a reservation at the Alaska or Military rate, please book here and follow up with a written request to frontdesk@chenahotsprings.com to have your rate adjusted. All cancellation requests must be made in writing at frontdesk@chenahotsprings.com. Please include the original confirmation number and name on the reservation. Reservations made at the standard rates may be cancelled with no penalty up until 6:00 PM the day of scheduled arrival. If a room reservation is not cancelled the first night plus taxes will be charged to the card on file. Due to our extreme temperatures during several winter months, it is recommended that guests renting a vehicle or driving their own bring a heavy duty outdoor rated extension cord with them. There are limited plug-in spaces available at the resort. We will do everything possible to assist guests in finding a plug-in space so their vehicles do not freeze up overnight. The best time to look for an open plug-in if you are staying overnight, is after the pool closes at 12 Midnight when the day trippers head back to town. If you forgot to bring a cord go to our Front Desk/Gift Shop to purchase a 25 ft. cord for $24 each. We accept the following credit cards for payment for rooms, activities, meals, etc. at the resort. VISA, MASTERCARD, DISCOVER and JCB. There is an ATM machine in the ATM machine in the main lodge for your convenience.